CINCINNATI - It only took a day for Amazon Inc. to narrow the price gap between Whole Foods and Kroger, but it still has a ways to go before beating Cincinnati’s largest grocery chain on the price of organic products. That’s what WCPO found in a quick price check of retail rivals in the Oakley area. 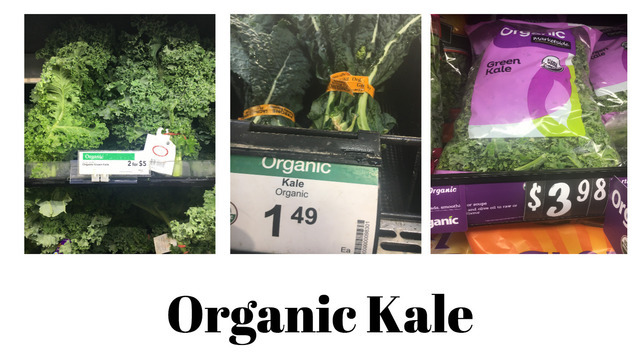 We checked 10 prices on organic staples, including kale, corn flakes, avocados and rotisserie chicken. Amazon implemented reductions of up to 50 percent on the first day of its Whole Foods takeover, prompting this response from shopper Lindsay Schott. "I think it is awesome," said the Montgomery resident. "Who wouldn't want a lower price? I'll make the drive more." WCPO visited the Whole Foods store at Rookwood Commons on Aug. 26 and Aug. 28. 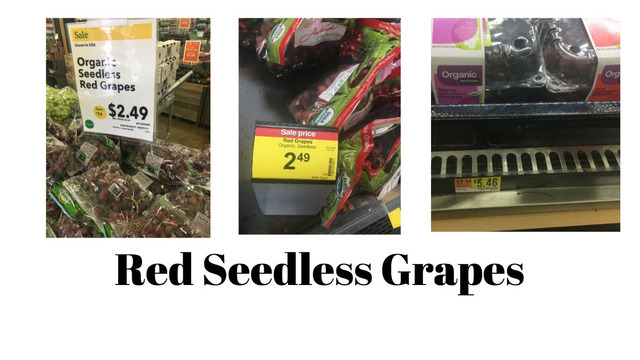 Prices were checked Aug. 28 at the Kroger Marketplace store in Oakley and the Walmart supercenter on Redbank Road in Fairfax. Whole Foods’ Organic Roasted Rotisserie Chicken took a $3 price trim to $9.99. That’s less than Kroger’s $10.99 price for its comparable Simple Truth whole-roasted chicken. The price of organic avocados from Peru declined 26 percent to $1.99 at Whole Foods, or 20 percent less than Kroger’s competing product. 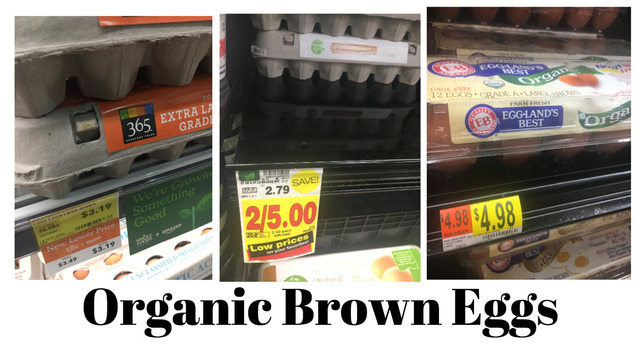 Kroger maintained its pricing advantage for Kale and brown eggs, even after Amazon’s price cuts. Walmart had a smaller selection of organic products, but its pricing was competitive on gala apples. Amazon cut the Whole Foods price 50 percent to $1.99 per pound. Kroger had gala organics at $2.49, while Walmart offered two-pound bags for $4.24. Kroger, with organic alternatives for all 10 products, was 14 percent lower than Whole Foods' new, lower prices. "We've always believed that customers shouldn't have to pay higher prices just because a product is natural or organic," said Kristal Howard, head of corporate communications for Kroger. But the Cincinnati-based grocery chain shouldn’t breathe easier with that result, Hamrick said. That’s because Amazon is likely to follow its day-one price reductions with additional targeted discounts to millions of Amazon Prime members. Barclay’s analyst Karen Short predicts Amazon will change the way Americans shop for groceries. Short predicts Amazon will provide more services through Whole Foods, including new meal kit stations, home delivery and in-store pickup of all merchandise sold on Amazon, perhaps even an Amazon help desk. “The day will soon come when customers can walk in to (Whole Foods) and ask an employee to set up Amazon Prime video or music on their personal device, she said. What will this mean for Kroger? Kroger has an advantage in its number of store locations and an existing relationship with millions of loyal customers. But it will have to gain greater efficiencies as online rivals continue to find cheaper ways to deliver every product Kroger now sells in its stores. One "obvious inefficiency" to Hamrick is the number Kroger banners. He thinks Harris Teeter in the Southeast, Ralph's and King Soopers in the west will eventually be folded into the larger Kroger brand – in much the same way that Macy’s eliminated all nameplates for its national brand. Kroger declined to comment on how the grocery industry may evolve under Amazon's influence.